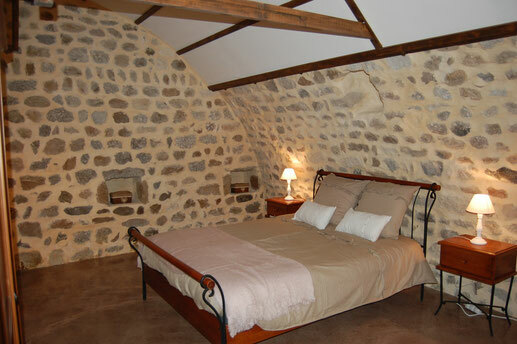 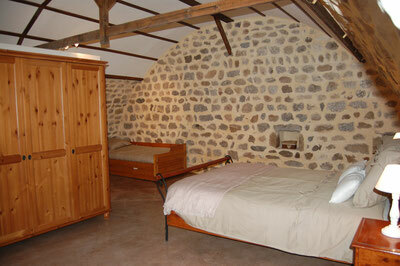 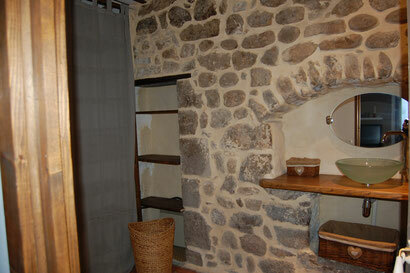 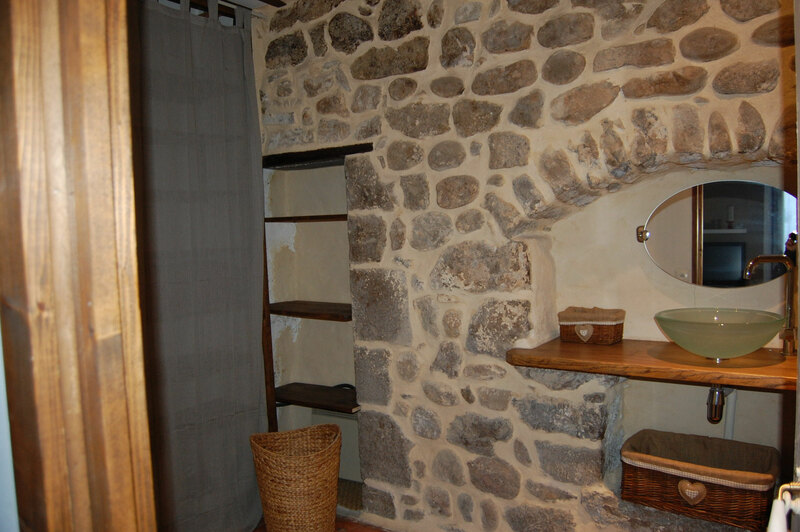 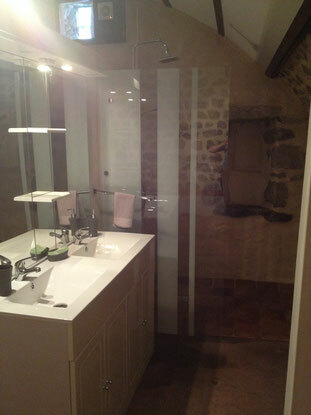 On the ground floor, the 31 m2 arched parents’ suite is pure seduction with its old stones and a huge Italian shower. 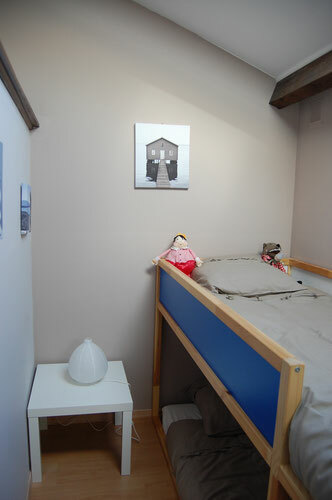 On the secound floor, you’ll find a large bedroom with sloping ceiling (11 m2 with the Carrez Law but more than 18 m2 in real). 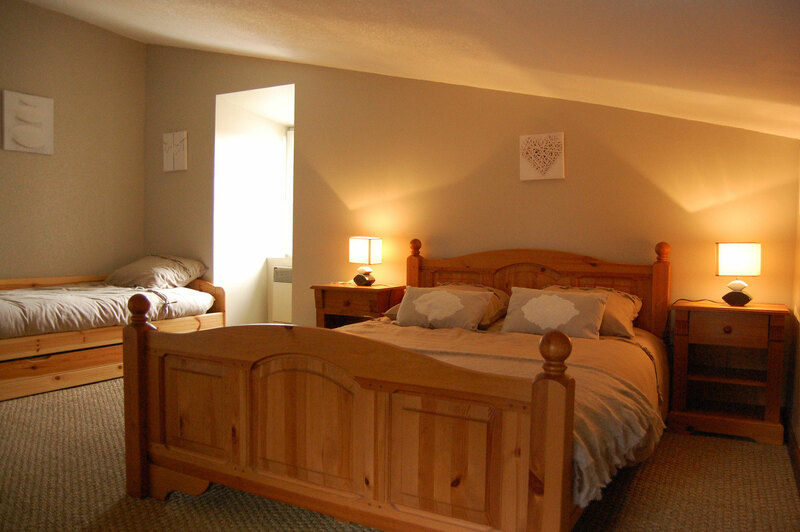 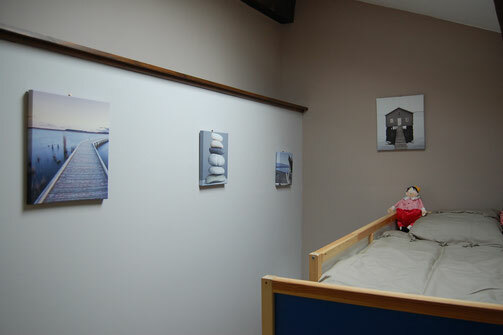 A double bed and a trundle bed are installed that will allow 4 people to sleep while keeping some large and agreable room. 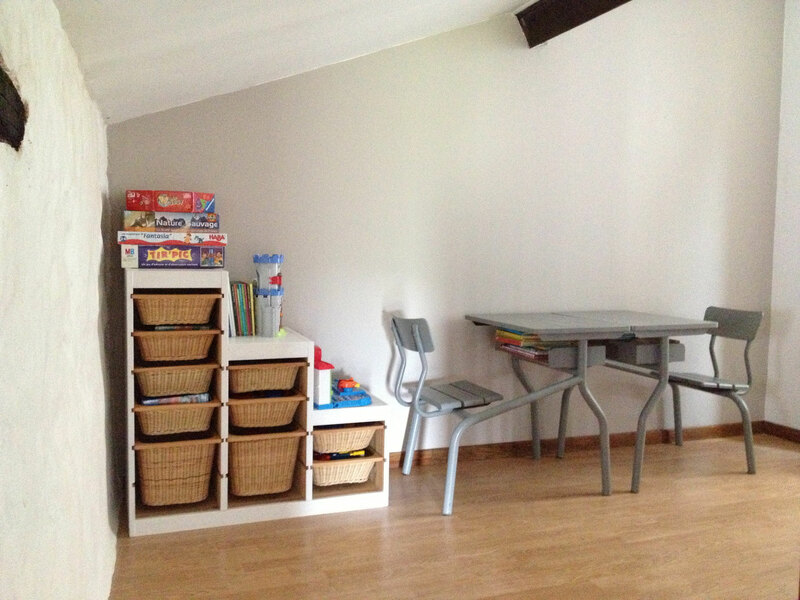 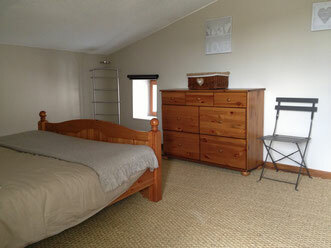 A secound 7 m2 bedroom provides you with a superposed beds and an armchair for two kids. You’ll find in the great cupboard an iron and an ironing board, a baby chair and a baby tub. 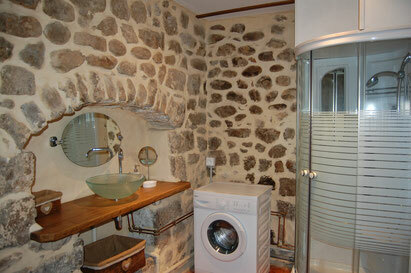 On the first floor, a 7 m2 bathroom is installed with a shower, a stone wash basin and a washing machine.